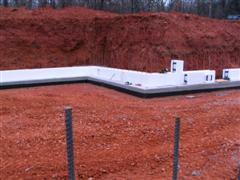 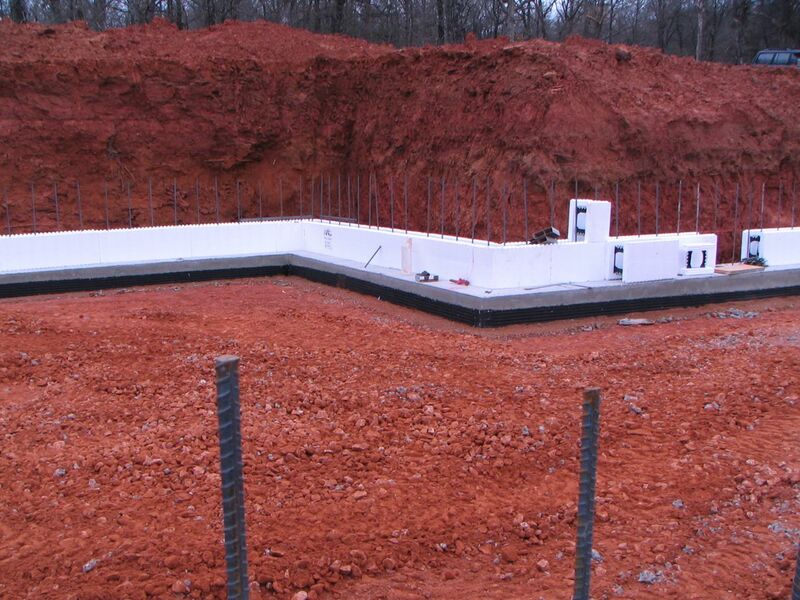 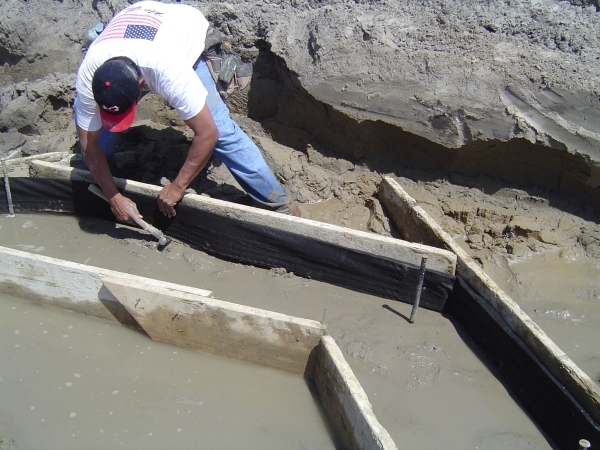 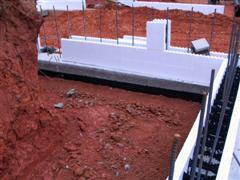 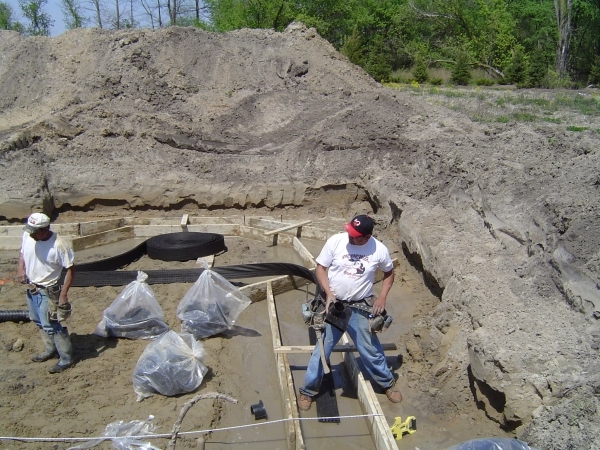 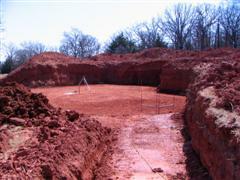 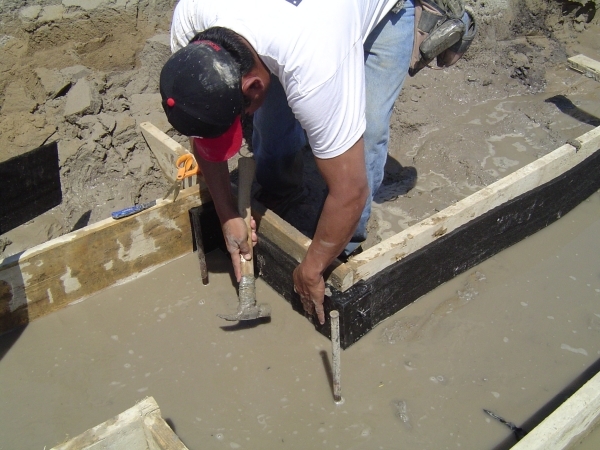 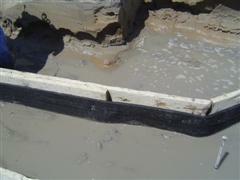 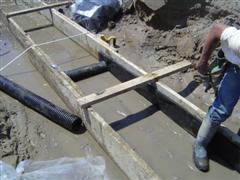 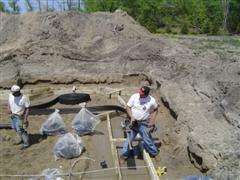 Excavated & layout for footings. 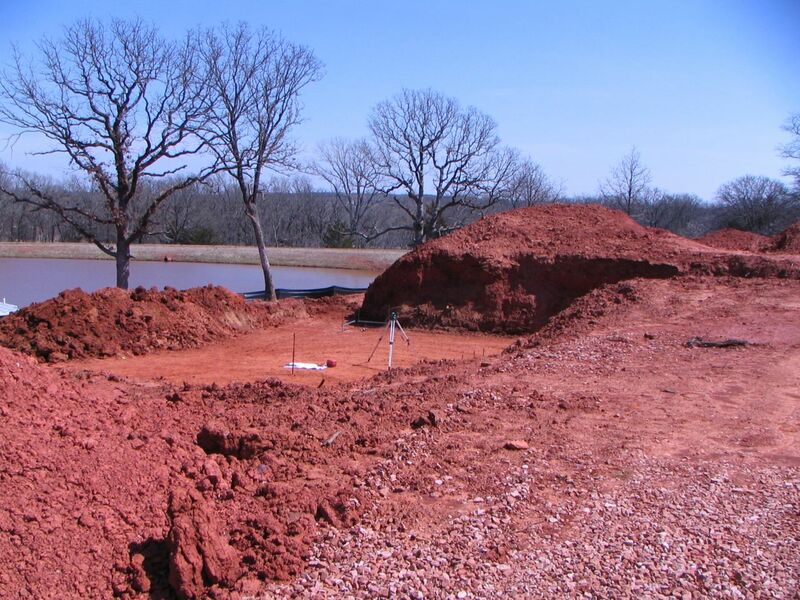 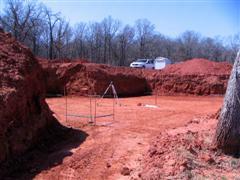 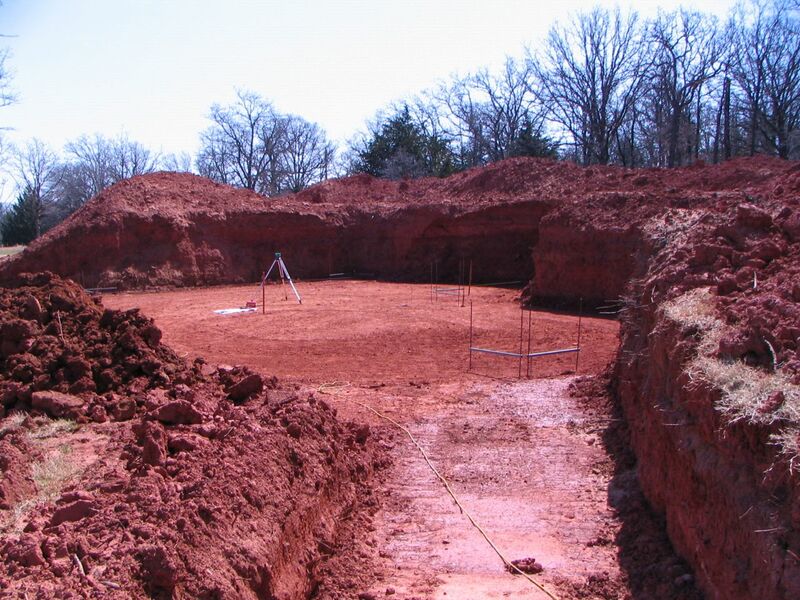 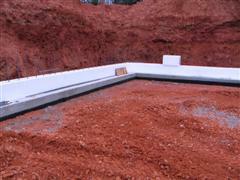 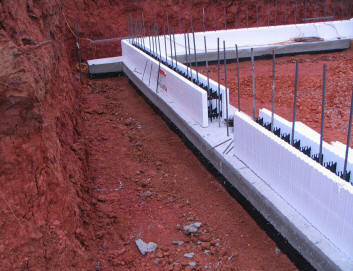 Red red clay soils of the southwest USA footing layout. 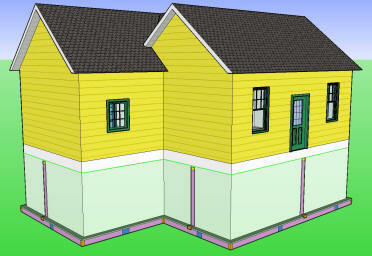 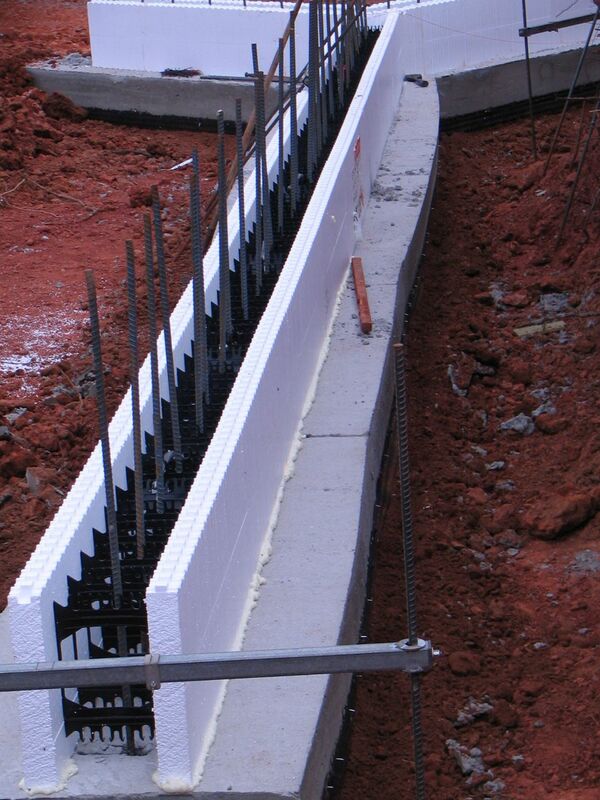 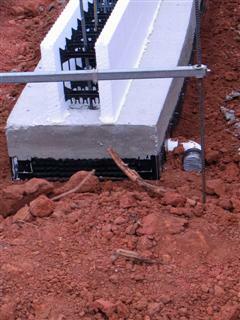 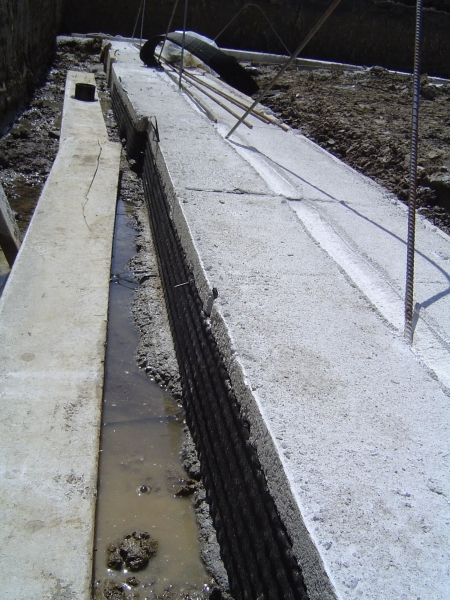 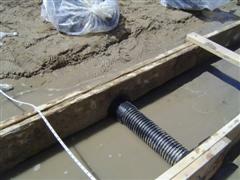 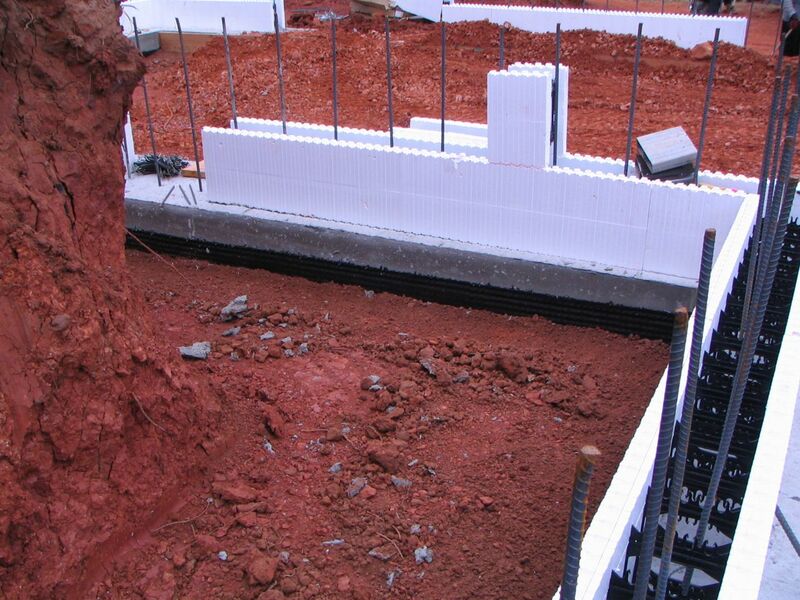 Exterior use of drain system, with a lead wall.